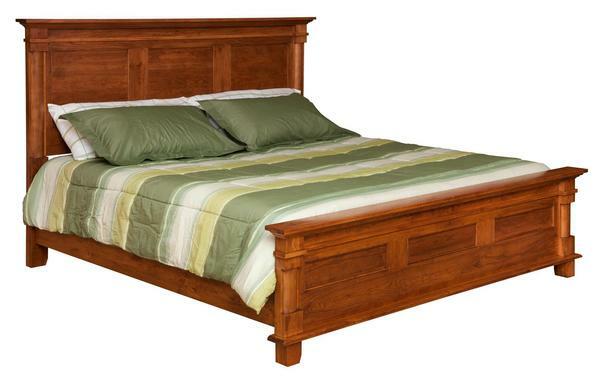 End your day by falling asleep in your new solid wood bed frame! The Amish Lindenhurst Panel Bed is handmade in your choice of solid wood and finish to match the rest of your bedroom decor. You can have this Amish bed made in a full, queen, or king size to fit in your bedroom! Call us today at 866-272-6773 if anything is unclear. Our Amish Furniture Specialists will be happy to assist you!